As the premier German Shepherd dog breeders in the Midwest, Roche’s Pedigree German Shepherds offers only excellent, show quality German Shepherd puppies for sale. 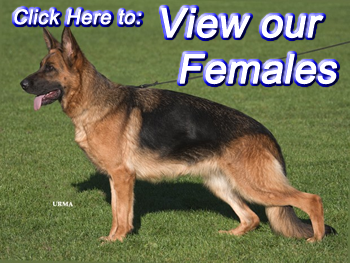 With VA1 bloodlines that are recognized yearly at the Sieger Dog Show in Germany, these animals are the crème of the crop and the best German Shepherds available. We are conveniently located in Wisconsin, two hours from Chicago. This makes us easily accessible to animal lovers all around the country. Shipping is also an option and our location means cross country shipments are not a problem. We also provide stud services in East Troy, WI. The Roche family has been raising and providing show quality German Shepherd puppies for sale since 2009. Each of our dogs is raised in our home which socializes the animals and gives them a stable environment as they are starting their lives. This contributes to our dogs’ excellent temperament and trainability. We introduce the puppies to the outdoors at four weeks. At six weeks of age we begin their NuVet supplements which gives them an advantage as they begin their lives. 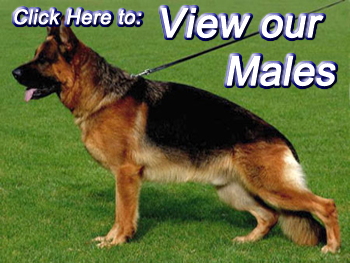 German Shepherds are known as an exceptionally smart breed of dog. They are frequently utilized as bomb sniffing dogs as well as K-9 officers and for search and rescue operations. Because they possess such a good nature, they are also excellent pets for families with kids. For these reasons and more, German Shepherds are the most popular breed of dog in the world. Because of our strict breeding standards and excellent bloodlines, our dogs are highly sought after. They are extremely trainable, loyal, and hearty. At Roche’s Pedigree German Shepherds, we are proud to hold an A+ rating with the Better Business Bureau. We are also members of the American Kennel Club. Because we are a relatively small kennel, we are able to treat each animal with the individual attention it deserves. This ensures that the quality of our dogs is of the highest standard. If you would like to know more about our superior caliber German Shepherd puppies, we hope that you’ll contact us.